Outdoor integrated cabinets are mainly used in the communications industry. The main raw materials for outdoor cabinets are sheet metal. Here is a detailed introduction of why we choose sheet metal as raw material for outdoor cabinets. Outdoor integrated cabinet generally includes shell, bracket, various switches on panel, indicator lamp, etc. The shell is made of steel plate and plastic, with high hardness. It mainly protects the internal components of outdoor cabinet. The bracket is mainly used for fixing the motherboard, power supply and various drivers. Appearance and material are the most basic characteristics of a cabinet. Appearance directly determines whether a cabinet can be accepted by users. Therefore, the current appearance gradually tends to diversify, so it also occupies a certain proportion in our testing. Material mainly depends on the material used in the cabinet. Whether the edges are curled or not, the quality of the material also directly affects the performance of electromagnetic radiation resistance. Mechanical engineers must be skilled in the design of sheet metal parts, so that the design can not only meet the functional and appearance requirements of products, but also make the stamping die manufacturing simple and low cost. Sheet metal processing cabinet not only looks good, but also durable, long life. Besides the appearance requirements, the design of sheet metal should ensure that the stamping process is simple, the stamping die is easy to make, the quality of sheet metal stamping is high, and the size is stable. These advantages make the cabinet of sheet metal processing so popular. Sorotec outdoor battery cabinets was developed for easing customers, pressure in site acquisition, meeting customers,requirements for energy saving and flexible expansion.As an innovative installation solution for site equipment,it not only has a large housing capability like traditional shelter, but also adopts independent compartment temperature control method as outdoor electric enclosures.Because outdoor battery cabinets has few limitations on application scenarios and can satisfy customers,different requirements, it is gaining more and more popularity in modern site. Why is the capacity of the generator more than double the capacity of the UPS when the UPS is equipped with a generator? 1.The power of UPS generally refers to the output power. The input power is bigger than the rated power, especially when the battery has discharged after a period of power stopping. The input rectifier not only supplies power to the load, but also charges the battery. The maximum current can reach 1.3 times of the rated current. If the battery pack capacity is particularly large, and the host is equipped with a charging module, the current will be greater. 2.UPS itself is a kind of non-linear load, which will produce some harmonic current feedback to the input grid, and will increase the temperature of the generator ball. If the generator load ratio is too high, it may burn the ball. 3.The load behind UPS to the generator is all selected by the internal circuit of on grid UPS to be battery or city power/power generation. It is one-time loading. There is no soft start or other way. If UPS is loaded at 80% load and the impulse current is calculated at three times, all of them exceed the rated output of the generator configured at two times. The frequency and voltage of the generator will decrease at this time. UPS detects this change and will immediately switch to the battery for power supply. Therefore, the capacity of the generator with UPS should be large enough, not as simple as 2 times the capacity. It should be configured according to the specific situation. Unlike commercial UPS, which is placed in data centers and server rooms under strict control of temperature, humidity and cleanliness, industrial UPS is often difficult to ensure stable temperature and humidity in the industrial environment. In addition, in special industrial occasions, the air in the environment may also contain corrosive gases, which will affect the normal operation of power supply equipment and reduce its performance over a long period of time. 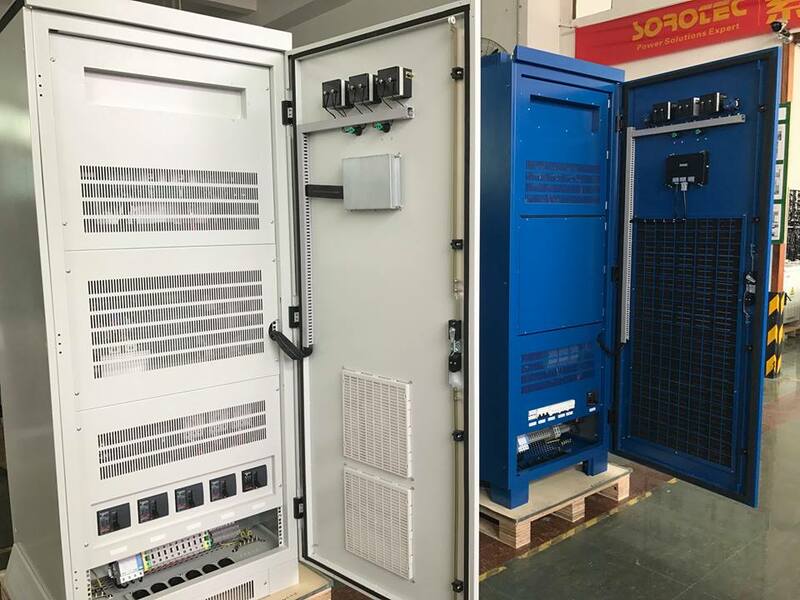 Therefore, this requires industrial UPS to have super environmental adaptability, and to cope with the test of harsh environment with comprehensive high-performance performance. Power grid pollution in industrial application site is very serious, and it often faces the situation of power supply shortage and frequent accidents. Precision production equipment in industrial production line always has very strict requirements for power supply. Power problems such as voltage instability and current flashover may cause equipment damage or lead to quality problems in product production. Therefore, as the core of industrial power supply system, high-quality UPS is an important part of power protection. 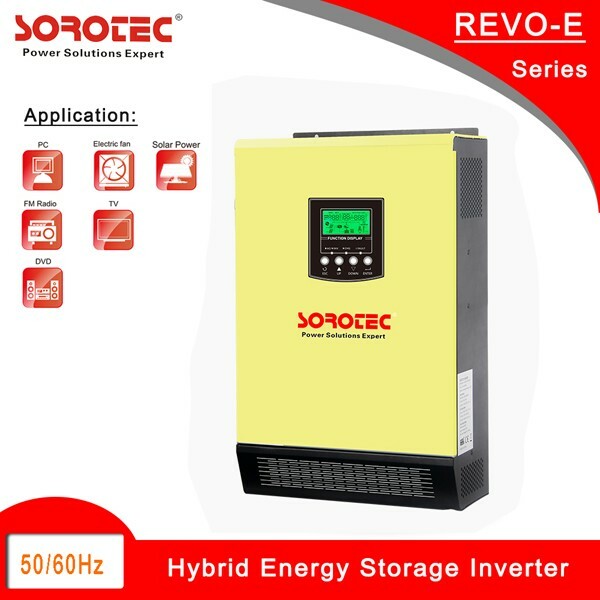 It should have the characteristics of providing high-quality power to the load under any load and market electricity input, eliminate the impact of instantaneous interruption of power grid on industrial equipment system, effectively avoid the high frequency of power grid, prevent the harm of overvoltage to load, and ensure the reliable operation of key industrial processes and control. In the industrial production, management, monitoring and other links, there are a large number of load equipment, especially in the industrial automation production line, using a large number of automatic control equipment, DCS, computers and so on, and these loads mostly include inductance load, capacitance load, fluctuation and high peak impact load, which have a great impact on the current. At the same time, in the industrial enterprise users, the balanced distribution of the load group is always relative, and the unbalanced distribution is absolute, especially in the production sector, the unbalanced phenomenon is more serious. Therefore, the outstanding load capacity is another important challenge for industrial UPS. 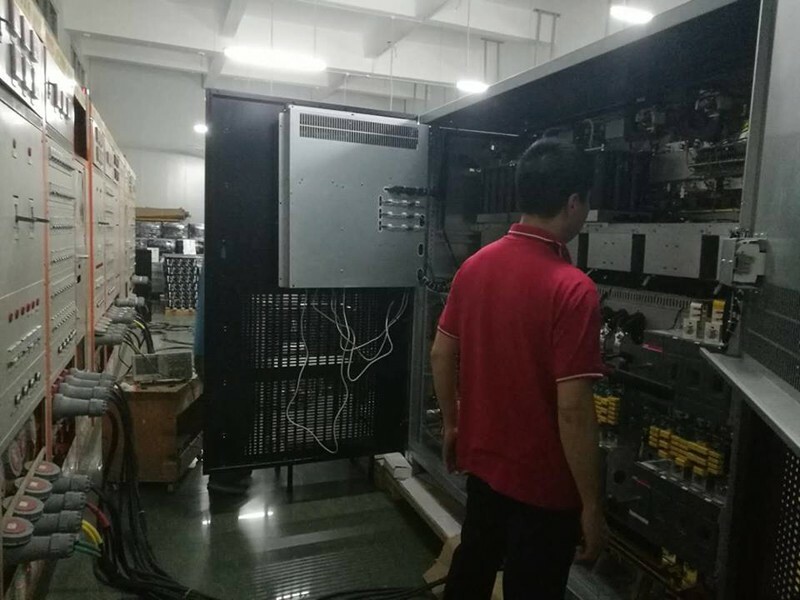 Based on the nearly harsh application standard of industrial UPS, only those enterprises that have developed, produced and served high-power UPS technology and series products and accumulated corresponding industrial application experience can design and produce industrial power uninterruptible power supply system well. Only in view of the harsh physical environment, power supply environment and load environment of industrial applications, can provide high reliable and highly available industrial UPS products and solutions to meet the special needs of industrial enterprises. ■Adopt full digital control technology. ■Intelligent detection and monitoring function. ■Digital control and static switch zero switching. ■DC UPS isolated with utility power completely. ■Cubicle design with power standard. ■Overcurrent, short circuit and so on. ■Large-screen LCD monitor Chinese and English operation interface. ■Ultralong 256 event records, user-friendly analysis and management to the situation of power supply. ■Static bypass has a strong anti-overload capacity. The solar charging controller in off-grid solar power generation system is specially designed to provide intelligent charging and discharging management for storage battery. The solar charging controller adopts PWM constant voltage charging mode, which can effectively protect storage battery and increase its service life. It can be widely used in off-grid solar power supply systems such as family, school, street, station, power station, pastoral area, field and so on. (1)MCU Intelligent Control, Excellent Performance. (2)The control circuit is completely isolated from the main circuit, which is safe and reliable. (3)Intelligent battery charging management to prolong battery life. (4)Simple and concise LED display shows the operation status of the equipment at a glance. (5)Wide temperature range, high altitude. (4)It has anti-backconnection protection, battery overcharge, over-discharge protection, solar panel backconnection protection, lightning protection. 3. Advanced MPPT technology, High converting efficiency higher than 97% for minimizing energy loss. 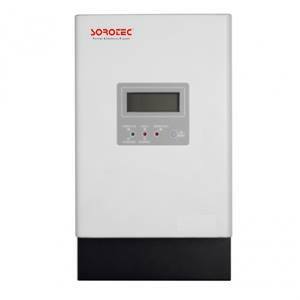 The only way to improve the efficiency of the inverters is to reduce the losses. 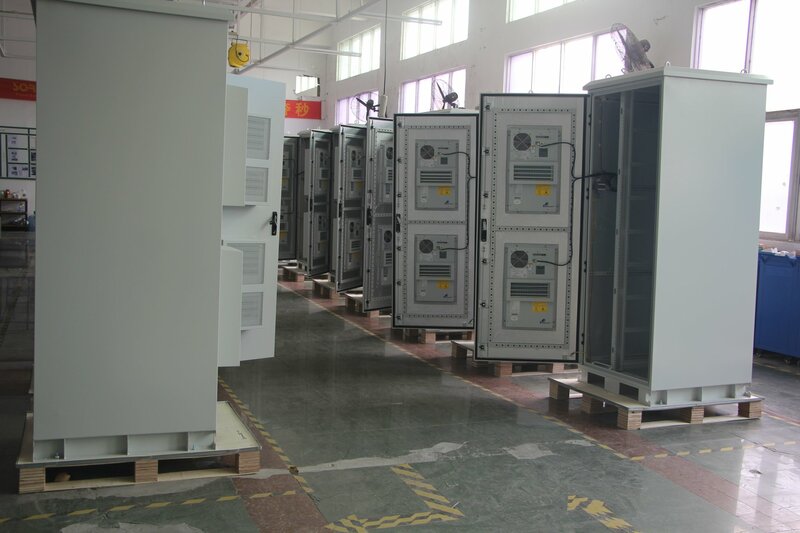 The main losses of the solar inverters come from IGBT, MOSFET and other power switches, as well as magnetic devices such as transformers and inductors. Loss is related to the current and voltage of components and the process adopted by the selected materials. The losses of IGBT are mainly conduction loss and switching loss. The conduction loss is related to internal resistance and current passing through the device, switching loss is related to switching frequency of the device and DC voltage of the device. The main loss of inductance is copper loss and iron loss. Copper loss refers to the loss caused by the resistance of inductance coil. When the current is heated by the resistance of inductance coil, part of the electric energy is transformed into heat energy, which is called copper loss because the coil is usually wound by insulated copper wire. Copper loss can be calculated by measuring short-circuit impedance of transformer. Iron loss includes two aspects: one is hysteresis loss, the other is eddy current loss. Iron loss can be calculated by measuring no-load current of transformer. 1. PV and utility power take the load at same time ( can setting ). 3. On/Off grid with energy storage. 4. AC charging and AC output time setting. 5. Charging voltage and charging current timing. 6. External Wi-Fi device optional. 7. Connected with battery optional. 8. Wide PV input range 120-450VDC. 9. MAX PV Array Power 4500W.